In 2015, the Renault Clio and Peugeot 208 were again the most-popular car models of the French with the VW Polo the top-selling foreign car model in France. The composition of the models on the list of the 20 best-selling car models in France in 2015 hardly changed from a year ago with the Renault Twingo III the only new entrant. The Toyota Yaris replaced the Nissan Qashqai as the most-popular Japanese car model in France in 2015. New passenger vehicle registrations in France in 2015 increased by 6.8% to 1,917,230 cars. The only new car model on the list of the top twenty most-popular cars in France in 2015 compared to 2014 was the Renault Twingo III entering the list at the expense of the Renault Twingo II. Other changes in rank positions were also relatively minor. For the third consecutive year, the Renault Clio IV and the Peugeot 208 were the number one and number two best-selling car models in France in 2015. Both cars had stronger sales with Renault selling around 5,000 more Clios in 2015 than in 2013 while Peugeot sold around 100 fewer 208 models than two years ago. Compared to 2014, Peugeot 208 sales recovered stronger than Clio sales. The Peugeot 308 and Renault Captur swapped places compared to last year with the Peugeot reaching its highest calendar year rank since being introduced in 2013. Unit sales of the 308 increased by nearly 15,000 – by far the best performance of any established car compared to a year ago. Captur sales also increased by a strong 10,000 cars compared to sales in 2014. The Peugeot 2008 and Citroen C3 also swapped places giving the 2008 its best rank ever too. 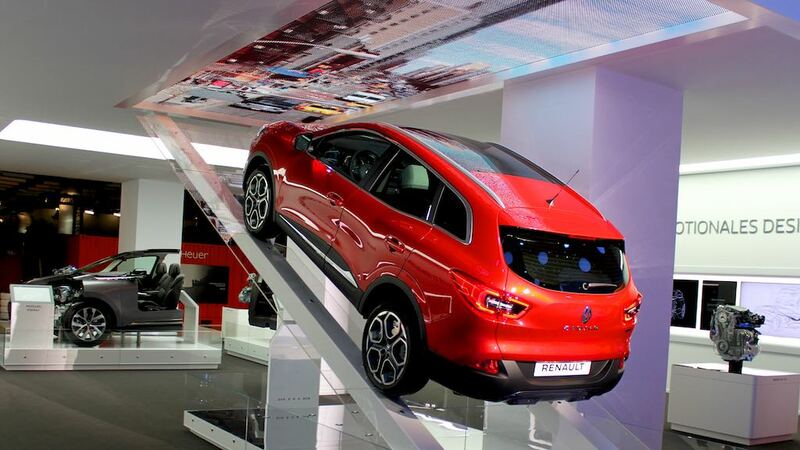 Sales of the Peugeot 2008 were up around 9,000 cars while the C3 shed more than 3,000. In 2013, the C3 was the third most-popular car in France with sales a further 3,000 units lower. The Renault Scenic III maintained its seventh place despite weaker sales. The Renault Twingo III entered the top-20 list at position 8. The Twingo II was at 16 in 2014 but at ninth in 2013 and there about previous years too. The Dacia Sandero improved one place to ninth with moderately stronger sales while the Citroen C4 II Picasso slipped from eighth with slightly weaker sales. The VW Polo remained the most-popular imported car in France and the eleventh best-selling car model in 2015. Polo sales increased by 2,500 units. The Renault Megane III sales slipped seeing the aging model sliding out of the top-ten list of most-popular cars in France in 2015 – from eighth to 12. Due to the Renault Twingo III entering the top-ten list, the Dacia Duster, Peugeot 3008 and VW Golf all slipped on place. All three models had weaker sales with the Golf particularly suffering due to market uncertainty over the emissions scandal during the final months of the year. Weaker sales due to an aging model and competition from the Renault Kadjar (at 22 with sales of less than a year) saw the Nissan Qashqai slip two places allowing the Toyota Yaris to become the most-popular Japanese car model in France in 2015. The Citroen C4, Ford Fiesta and Fiat 500 all maintained their positions from a year ago. The Fiat 500 had its highest sales numbers ever in France in 2015. The most-popular electric car model in France in 2015 was the Renault ZOE with 10,407 cars sold – the 42nd best-selling car model of the year.